Thought I’d share some of my writing. 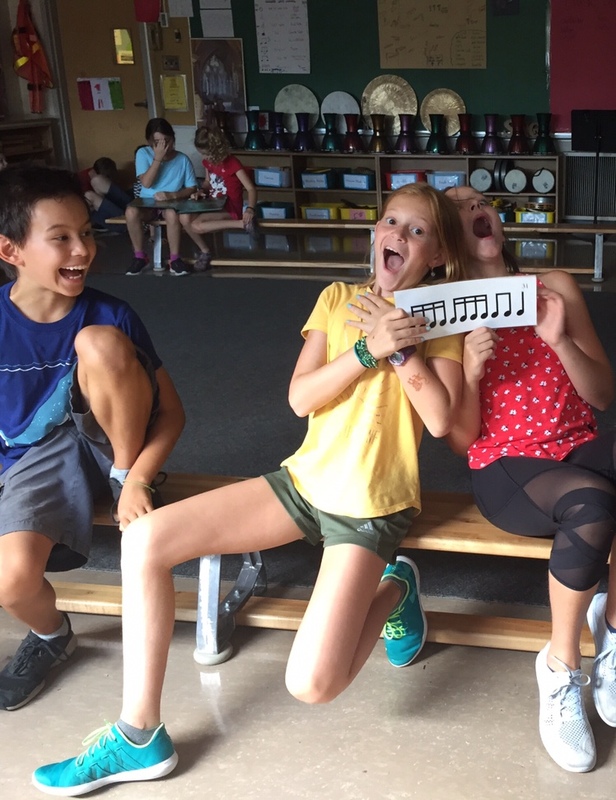 I reflect a lot about how to best meet students’ musical needs. 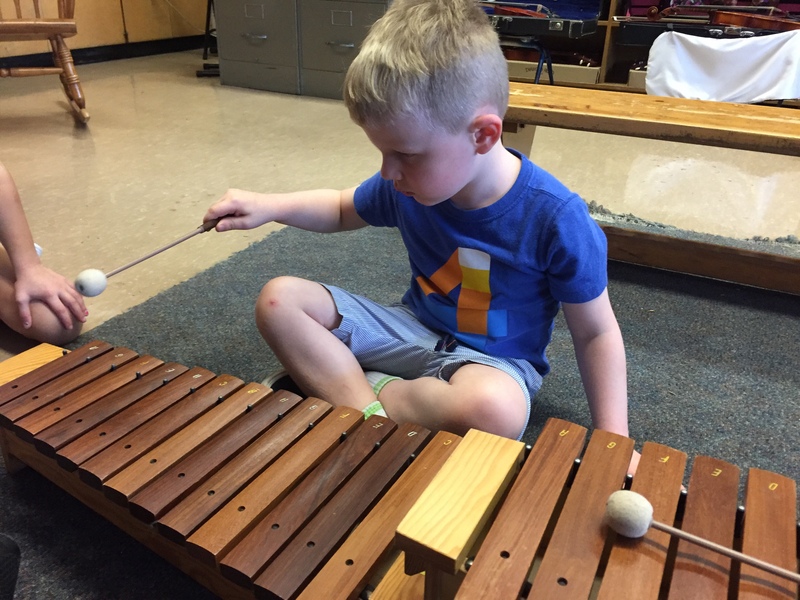 The first of these two articles was published in the Canadian Music Educator’s Journal and the Second in the “Recorder” – a journal put out by the Ontario Music Educator’s Association. 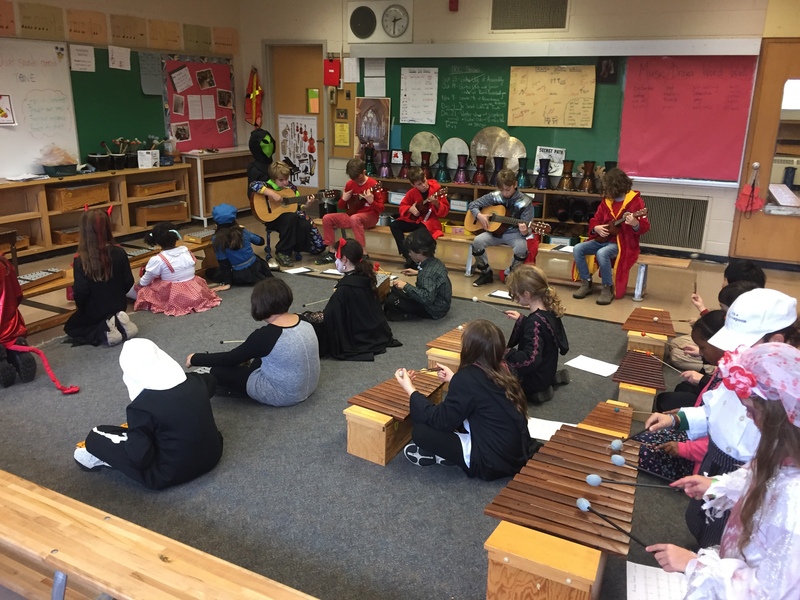 Students busy learning a four-part arrangement of Ashokan Farewell for Remembrance Day. Yes, it’s also Hallowe’en. 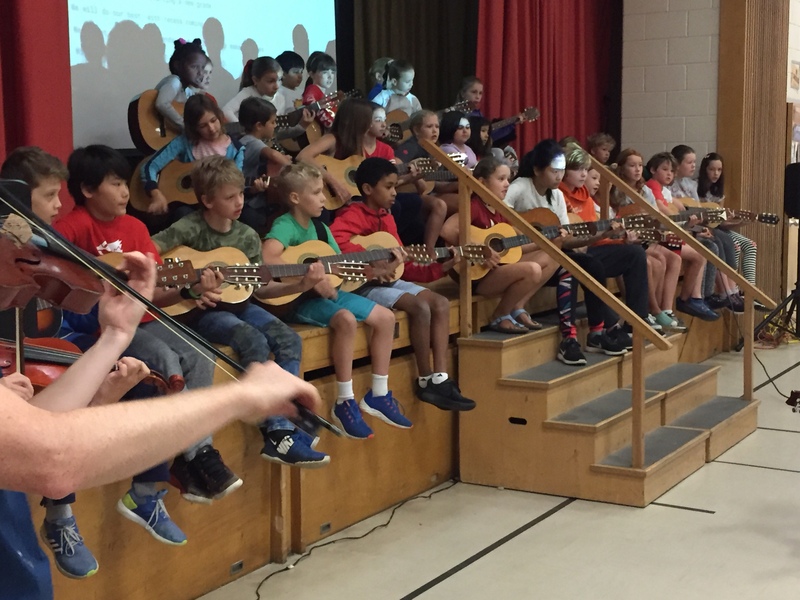 IRC’s Guitar Club is huge this year! This is our first gig, accompanying a September school singalong of “Summertime/ Schooltime” (together we all wrote two new verses for this jazz classic). 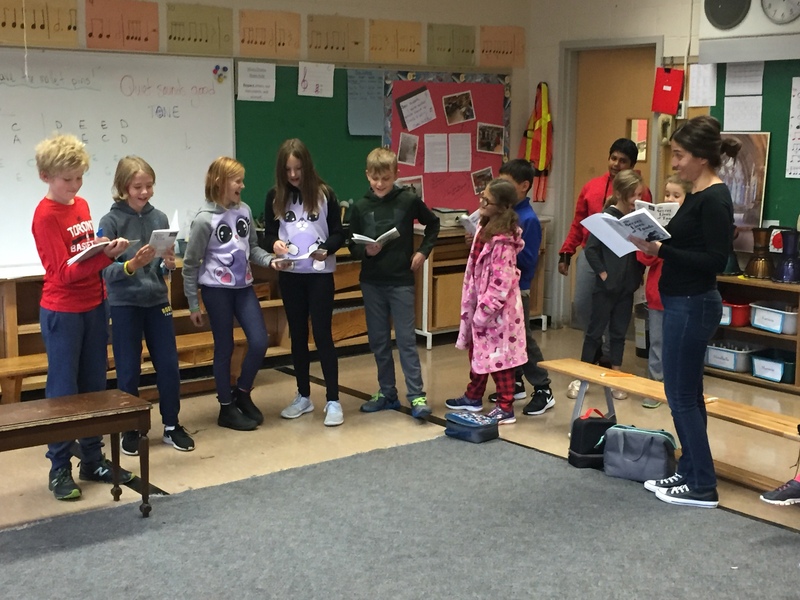 And for our 2nd gig, the Guitar Club will accompany Junior Choir performing “O Canada” at a Ram’s Basketball game! 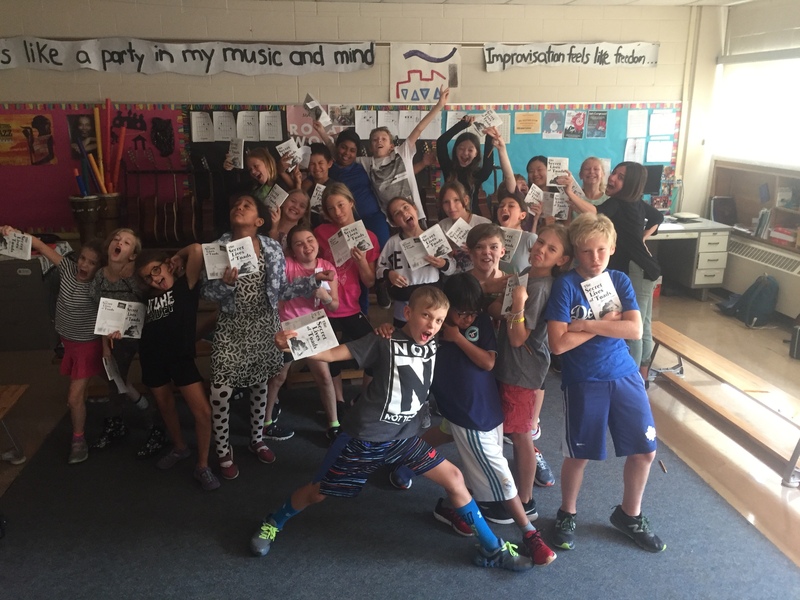 Introducing…the cast of “The Secret Lives of Toads.” I’ve been wanting to feature these Grade 5/6s actors ever since I met them, five years ago. Thank you to Ms Silva, Rob, and Ms Lock for all of your help!!!! 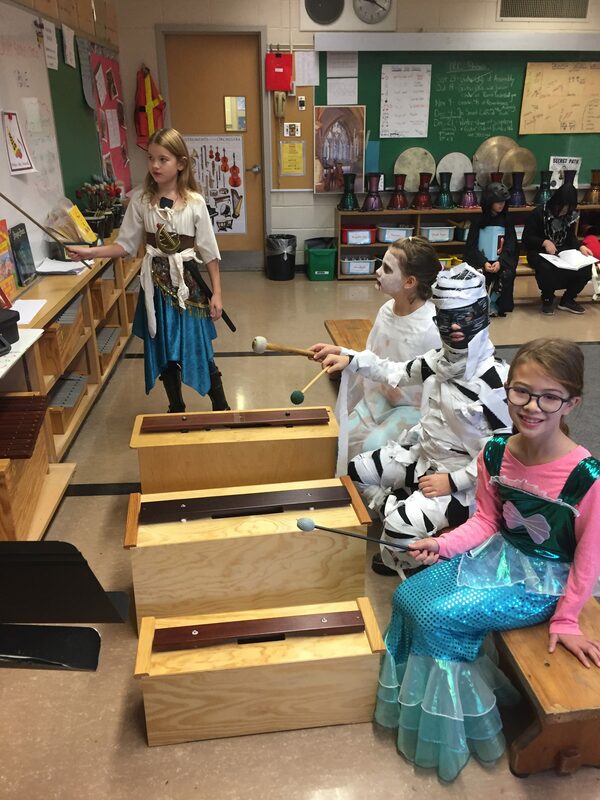 Our performances are Dec. 4th at 1:30 and 6:30. Our crew, of state managers, set designers, et al, is as mighty and talented. Many many different play rehearsals going on in my room right now. I loved how this Gr. 3 group huddled up to discuss their ideas. For years I’ve organized “Sharing Music from Home” lessons. 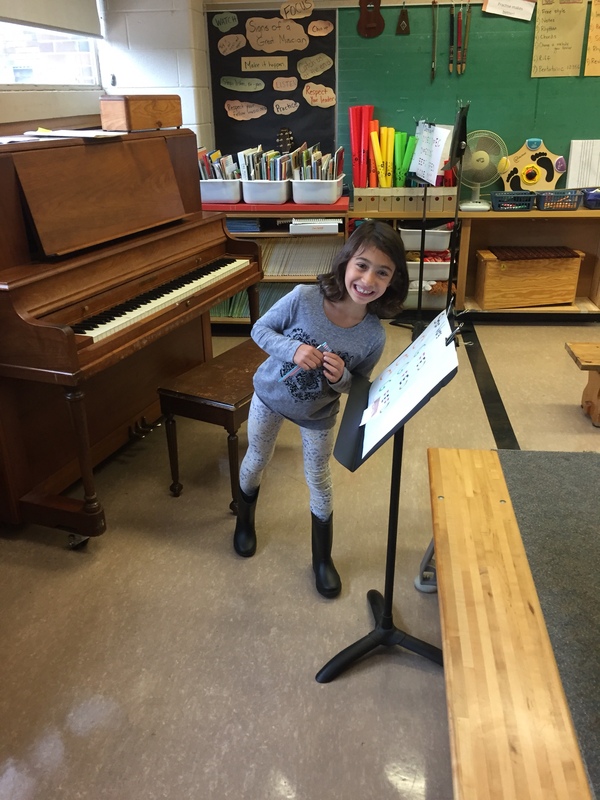 Students are invited to perform practised pieces for their peers. 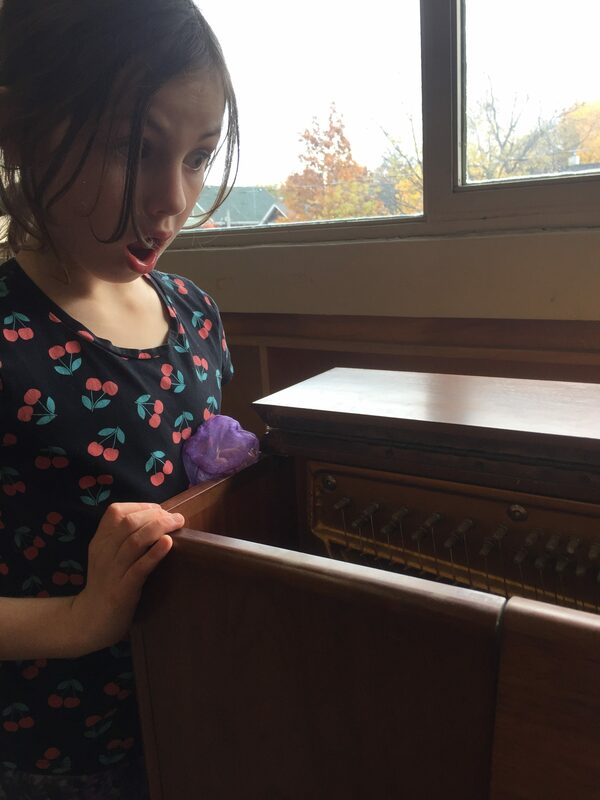 Voluntary “show-and-tell” in Music class. 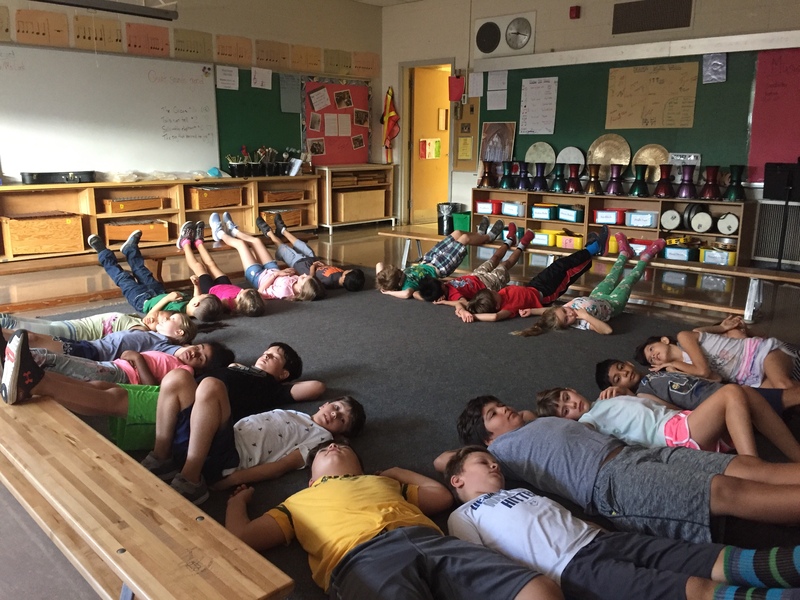 This year I’m focusing on the silence between notes; I was inspired by Katrina Goldsaito’s kid book, “The Sound of Silence.” I shared this book and taught my students about Cage’s “4’33.” Our influence is incredible. 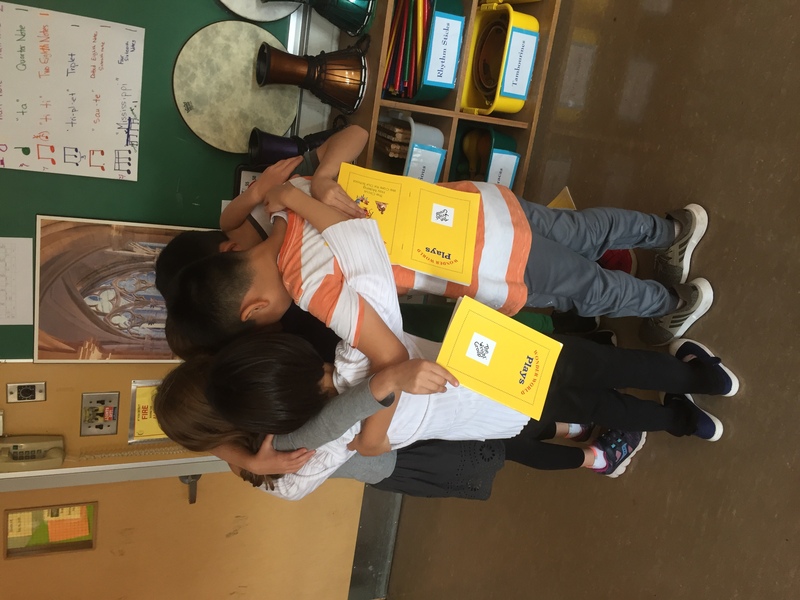 After these lessons, Sharing music from Home has a new feel around here. 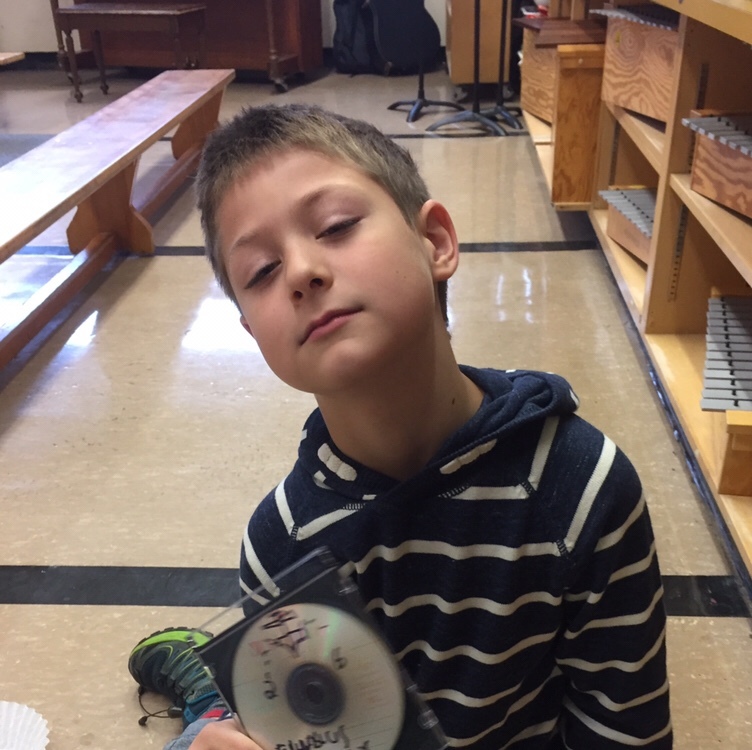 I had students create and notate their own compositions (straw pan flute, mallets on water bottles), one student sampled his voice into our keyboard, a shy student actually performing “4’33,” but the one that floored me was a grade 3 who set up GarageBand on a computer to record himself calling his home phone with a cell phone. 7 mins of amazing sounds and feedback. The sound vs music debate rages on. Minds and ears are open.